Introducing the Smartpult aka Ball Launcher. This is by far.... my favouritest of all favourite toy. This is my first and very belated review for Petvoq's range of snazzy toys. Don't blame me. I am only but a dog who loves his toys. I pretend that the review slipped my mind but unashamedly playing with my new Smartpult, otherwise known as the ball launcher, on the pretext of #LABtesting it. Such a terrible liar, I am. And since I have been such a bad boy overindulging in my most favourite toy, which also explains why it is the first Petvoq product I am reviewing, I shall TRY to make this review sound and look as professional as possible. Wait for the ball to fire - there are three shooting range you can select from - 3/6/8 metres. Catch the ball! It is okay to miss it. The fun of this can simply be brainless fetching of the ball. Put ball back into the Smartpult. Wait for treat to be dispensed. Using the Smartphone App (recommended). Manual trigger from the machine puts the toy into automatic fire and dispense treat mode - about 8 seconds lapse per function. The manual trigger - perhaps more appropriately automatic trigger - from the top of the toy is useful if you are only planning to use this toy to fire the ball. Akin to the phone app automatic mode (read below), the treats will dispense on its own in approximately 8 seconds, if any available in the treat dispenser. There is no available option to do manual ball and treat dispensing. That option is only availabe with the SmartPhone app. There is about an 8 seconds lapse after one ball is fired before the next one can shoot out. = it cannot fire balls consecutively. It can get a bit frustrating if one uses this for more than one dog at a time because by the time the first dog retrieves the toy and brings it back, the second dog is still waiting for the ball... which means first dog will try to retrieve the ball - again. For the phone app, as you can see from the photo above, mine is set as "Automatic OFF". Reason being that when the Smartpult goes into Automatic mode, the ball fires out and treats dispense out on its own. BUT the time taken to catch/fetch the ball and put it back into the 'dark hole' is longer than the auto-timing for the treat dispensing. Then once the machine senses the ball, it auto-fires... again. 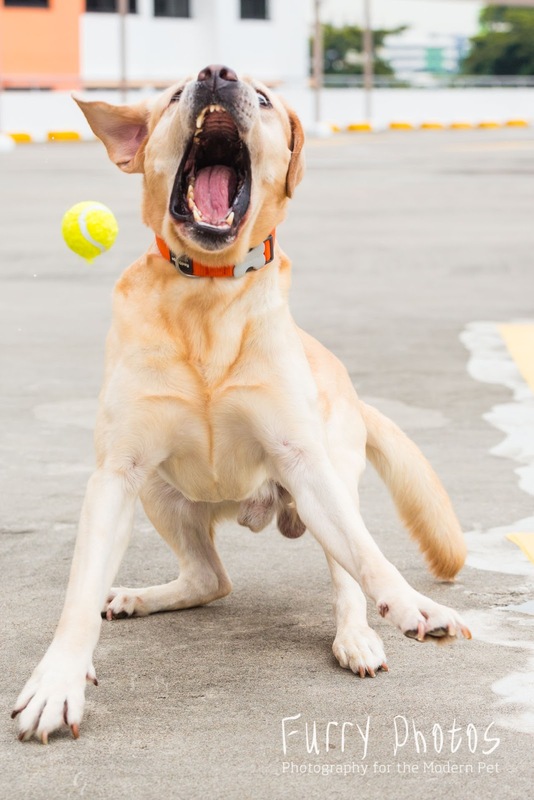 In other words, if the dog is slow-and-steady like me but quick on the food, he/she will drop the ball before putting it back to get the food and have just about 8 seconds between dropping the ball in, eating the treat and running back into position to catch the next ball. Thus, I recommend to go manual on this = manual fire and manual treat dispensing. I, Flapper Choo, do need to catch my breath between catching the ball and gobbling down the treat. Fun Fact: You can use the treat dispenser on its own which is very useful for reward-based training. Battery operated - you have to use this outdoors. 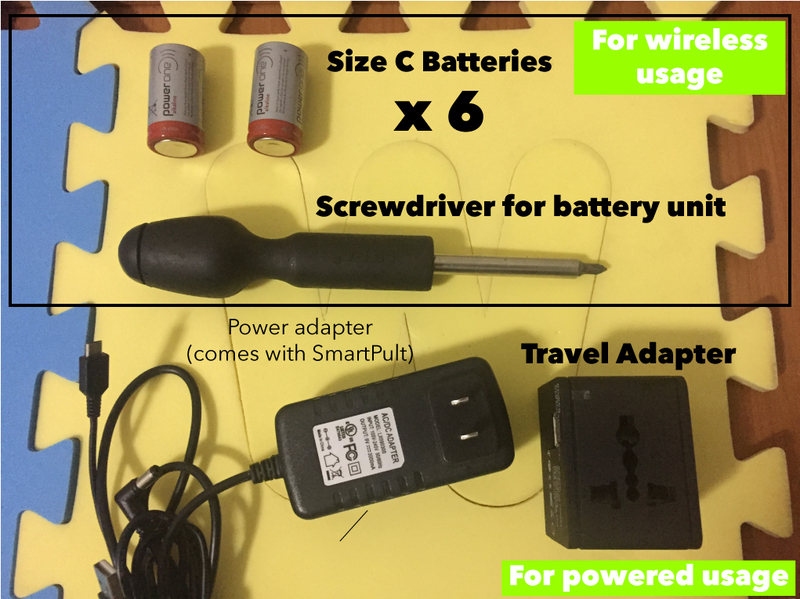 Have these ready before your first usage of the fabulous SmartPult. Frodo and I have not swallowed any to date - so I have heard that concern. Frodo LOVES chewing the tiny ball. I do, sometimes, face some difficulty getting the ball out of my mouth to put it into the launcher. The ball gets slobbered badly after 2-3 catches - especially on a hot day outdoors. The more slobbered the saliva, it slows down the firing speed. 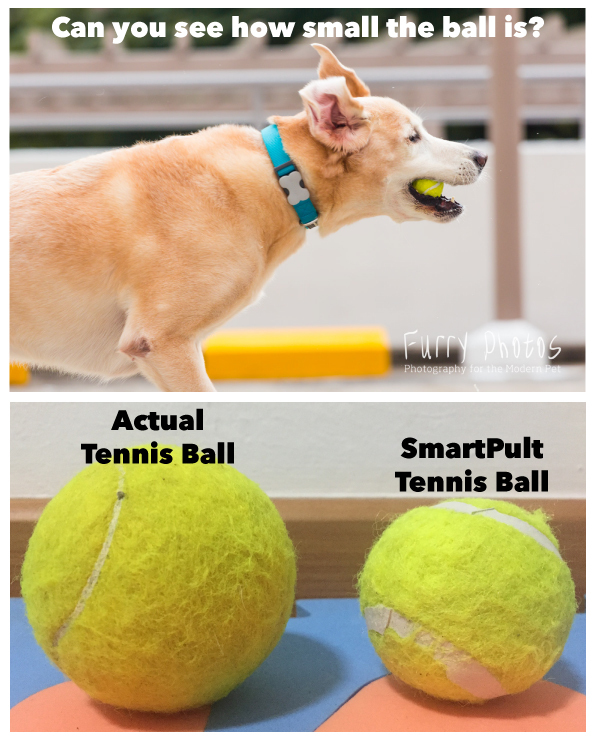 Frodo and I have grown used to the size of the SmartPult tennis balls but do note how small it is for any LARGE DOG fur-parent who might be concerned. It would not be a problem for small to medium sized dogs. As mentioned, the SmartPult was probably designed with small to medium dogs in mind so even the treats used has to be relatively small. My cheapo mummy uses my dog food as treats and it is triangular measuring approx. 1.5cm all round. It does get stuck now and again causing the machine not to dispense the treats. So I advise to get treats smaller but no bigger than 1.5cm. You cannot select the number of treats dispensed so it's really up to the machine. With my kibble size sitting at 1.5cm, I sometimes get 4 pieces, 1 piece or none. Like all other Wi-Fi connected devices, the SmartPhone can pick up other nearby connected Wi-Fi devices. So like in my case, I was using my Action Cam and the SmartPult simultaneous so my Smartphone did lose the SmartPult Wi-Fi and picked up the Action Cam instead... and vice versa. Proud and happy product testers of both the SmartPult and my beloved Sony Action Cam. The SmartPult comes with three tennis balls though me thinks we need A LOT more. Frodo and I love our SmartPult. We love our Sony Action Cam too which took all those wonderful footages of us playing with our beloved SmartPult toy. So yes, like many other products, it has its little downs especially the size of the tennis ball for us, the big dogs, but otherwise, it is my perfect toy to feed my need to play and receive treats too! The SmartPult, at the crux of it, is not about how well a dog can execute it. But really, even with Frodo's infamous inability to catch and put the ball back, he still has oodles of fun with it. 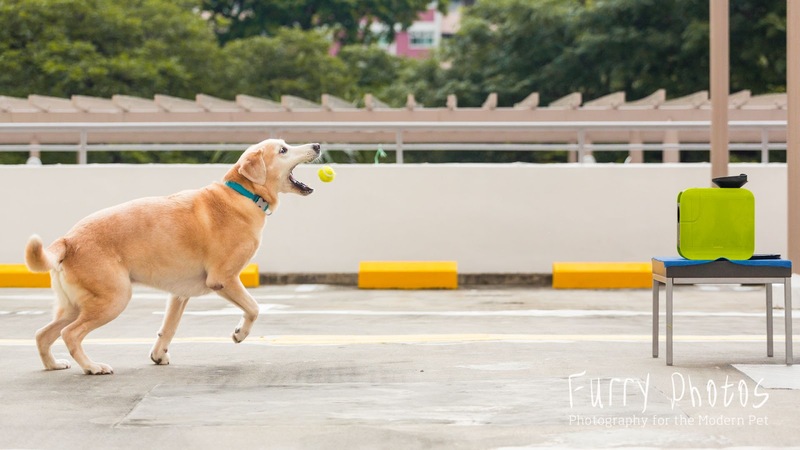 For dogs who can't catch it off the machine, they can still burn energy by running to fetch the ball! It also provides hilarious entertainment for the humans to watch Frodo's derp face and how hopeless he is at catching the ball. Frodo's infamous derp face as he attempts to catch the ball. 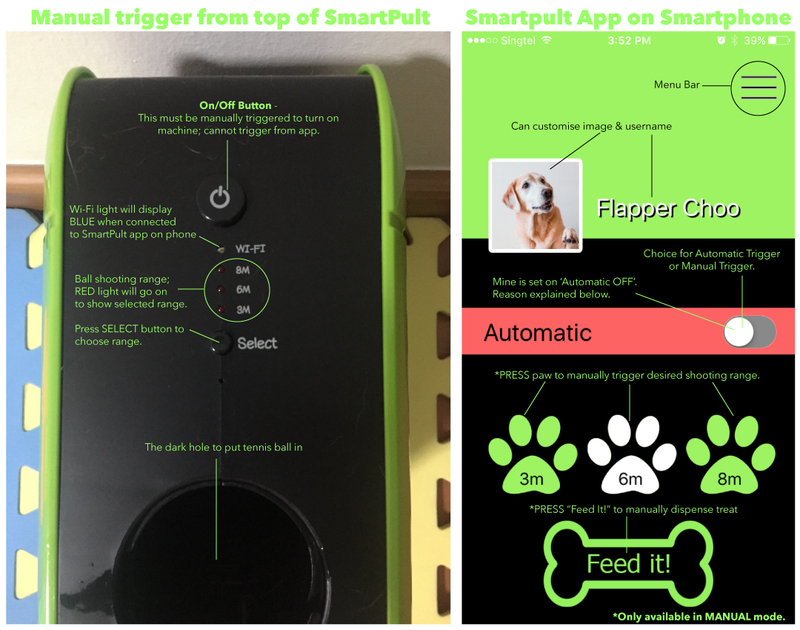 The SmartPult is not about precision but just having fun going ga-ga over the tennis ball.... and treats. 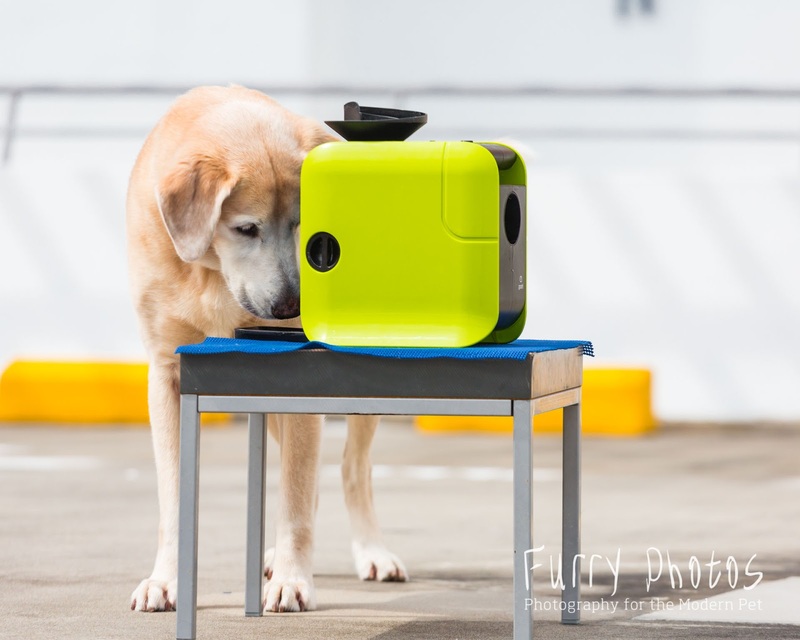 And what we love most about the SmartPult other than the fact its a Lab's dream toy? It can be used both indoors and outdoors which we are so grateful for with the year-end weather nightmare of either rainy or ridonculously hot and humid. So Thank God we have the SmartPult to entertain us indoors. 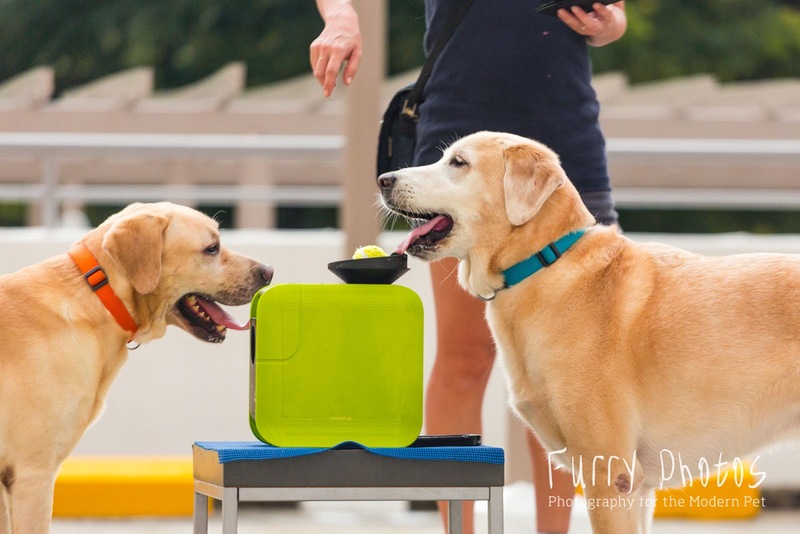 So yes, I do think my doggie-friends should own one of this SmartPult. 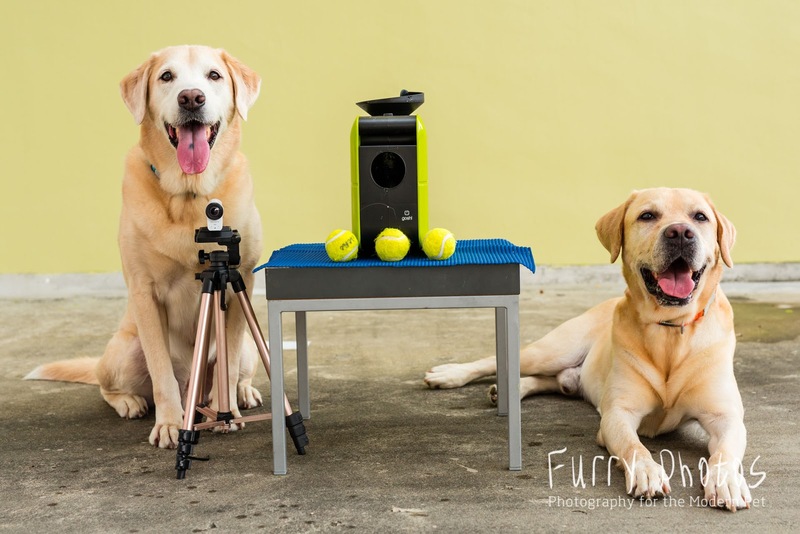 Priced at SGD189.00, it is reasonably priced for good value entertainment for us, the dogs. I must say it again, I am so so blessed to be Petvoq's product tester. 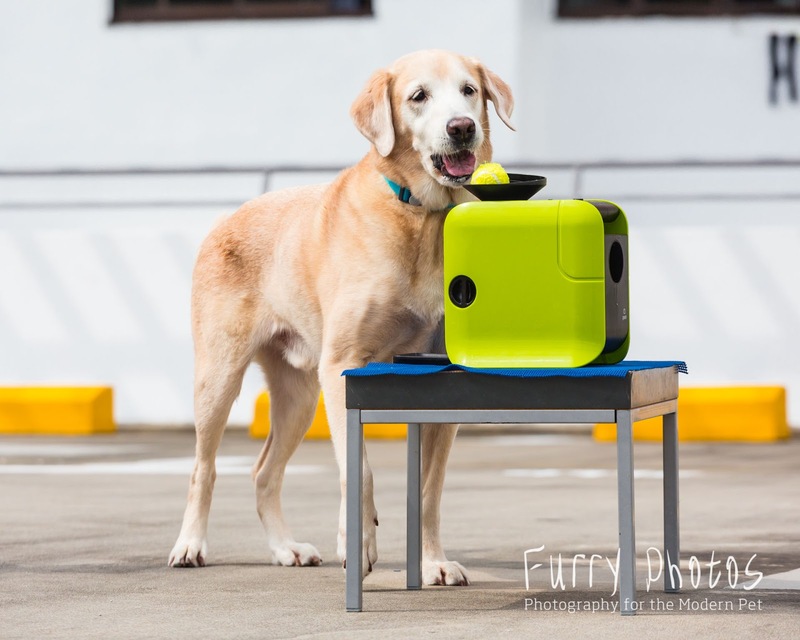 And many many thanks to the ever faithful Uncle Nic for taking the time to be with us and capturing all those gorgeous images of Frodo and me product-testing the SmartPult! We love love love the photos. Dream job for a dog. any idea how to configure the wifi? Mine cant seem to go beyond 0% ><. And did your human train u on how to use or are u a smarty who knew how it works instantly? The Wifi - First you need to download the Smartpult aoo from the App store, then go to settings>Wifi>select "Smartpult". I think the default pw is 123456 or something... I cannot remember! Haha! Then open the app and you can start personalizing the app and playing the Smartpult from there. Tip: The Wifi loses signal once the phone goes to "sleep" mode so good to 'unsleep' the phone while playing. It takes a while to get the idea of the ball launching - i.e. familiarization with the sound before the ball launches, the speed etc.. And esp since this little toy is made more for the tiny dogs, so mummy had to keep finding different tables/boxes to prop it up to a suitable height for us big dogs to catch the ball as it's way too low for us. 3. Then once she dispensed the treat... ok. The sequence clicked for me. LOL. It did take a few tries... it was not instant that I managed to execute the full works of this toy.